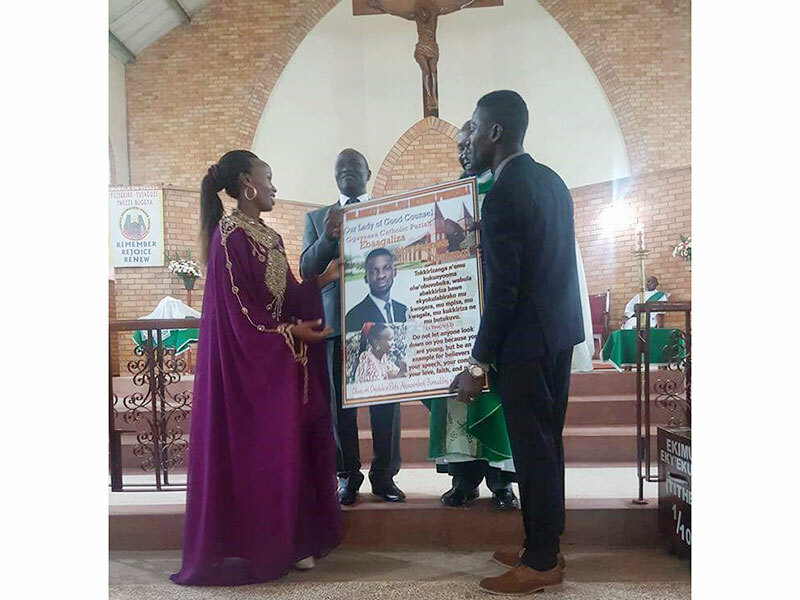 GAYAZA – Kyaddondo East Member of Parliament Robert Ssentamu Kyagulanyi on Sunday prayed at his home parish church where he was prayed for in a special dedication mass. Fr Jude Makanga the parish priest of Our Lady of Good Counsel Catholic Parish Gayaza, led the special mass that climaxed with special prayers for the newly-elected MP, commonly known by his stage name of Bobi Wine. 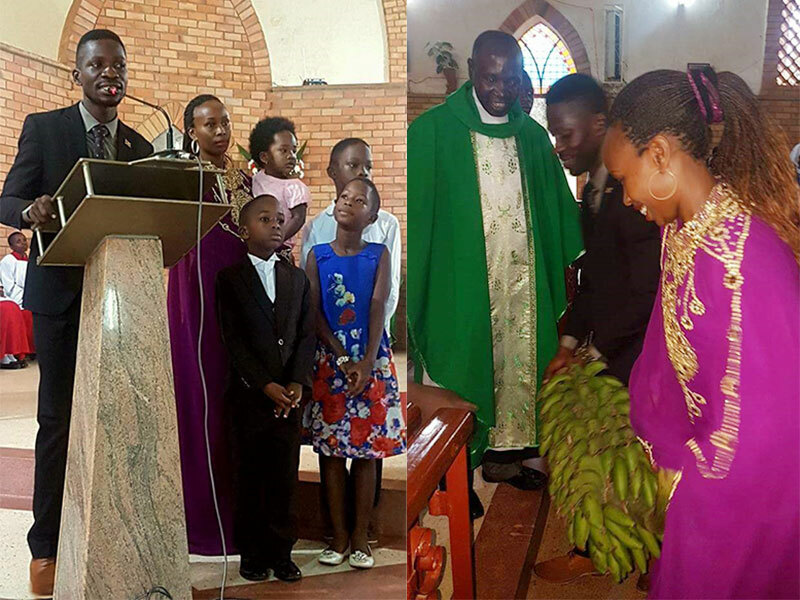 The parish community later handed over a gift to the MP, who was flanked by his family – his wife Barbara Kyagulanyi and children. The gift, a special memento had a message that excited the MP, which he said he would share with the youth everyday. “Sunday mass today was very special to me,” Bobi Wine said. “Gayaza Catholic parish under the leadership of Rev. Father Jude Makanga invited my family for a dedication mass. Not only did they pray and bless me, the parish community handed me a gift whose message I would share with the youth everyday of my life,” the MP added. The message on the MP’s gift memento reads: “Do not let any one look down on you but be an example…in all you do”. The youthful Kyagulanyi was declared new MP for Kyaddondo East after he won the June 29 by-election with 25,659 votes, in a thumping victory that relegated his four opponents; incumbent and FDC candidate Apollo Kantinti (1832 votes), NRM’s Sitenda Sebalu (4552), and independent candidates Muwada Nkunyingi (575), and Kayongo Sowedi (377) to a peripheral showing in the elections.